Gluten-free or not, these brownies may be the richest you’ve ever tasted! You might have seen the “gluten-free” label in the post’s title and assumed that these brownies would somehow be deficient when compared to “normal” brownies made with wheat flour. These brownies are not your average brownie. Molten chocolate cake meets brownie. These brownies are indulgent and addictive, yet rich enough you will set limits. They are (were) perfect for #chocolatemonth, and in my case, they made a baby shower for a gluten-free expectant mother much tastier! Almond meal replaces wheat flour in this version, its aromatic nuttiness enhanced with a hint of almond extract or amaretto. Since almond meal is more coarse than wheat flour, it doesn’t bind quite as much to the rest of the ingredients. While that sounds like a terrible failure, rest assured it is not. A firm crust will result, which provides a pleasing contrast for the unexpectedly decadent, soft center. Cut squares when the baked tray has been cooled to room temperature, but chill the cut squares before removing them from the pan. Serve these with lightly sweetened whipped cream and tart pomegranate seeds for contrast. Alternatively, my cocoa amaretto ice cream makes a killer ice cream sundae atop warmed a brownie. It’s a finish your dinner guests won’t forget. You – and they – may never go back to traditional, wheat flour brownies again! Preheat the oven to 350 degrees Fahrenheit. Grease a 9″ X 9″ aluminum pan with butter. Set aside. In a microwave safe bowl or Pyrex liquid measuring cup (2 cup size works well), microwave the chocolate with about half the butter for two intervals of 30 seconds (or one minute on 50% power), stirring to incorporate. 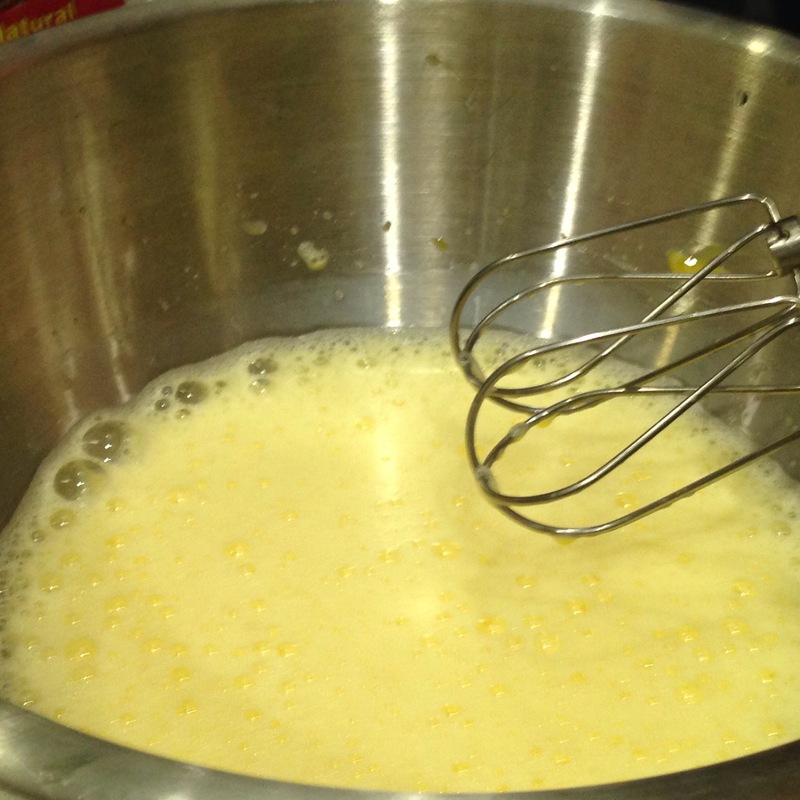 Add the remaining butter and microwave in 30 second intervals, stirring with a spatula between intervals, until the mixture is smooth. Cool to room temperature. 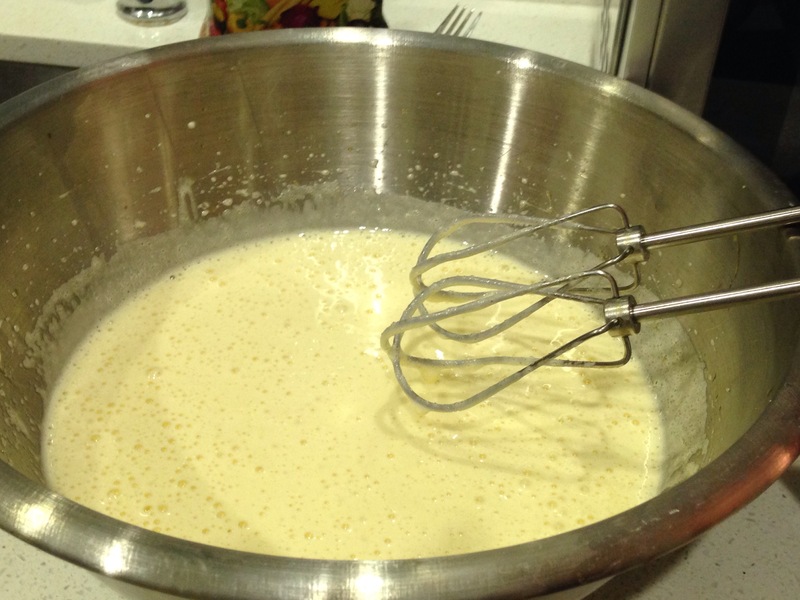 Meanwhile, in a large mixing bowl, beat eggs using an electric mixer on a high setting, for 1 1/2 to 2 minutes, or until pale yellow and frothy. Add in sugar and continue to beat until the mixture thickens and begins to hold its shape slightly (about another minute). Beat in cooled chocolate/butter mixture, vanilla, salt, and almond extract. 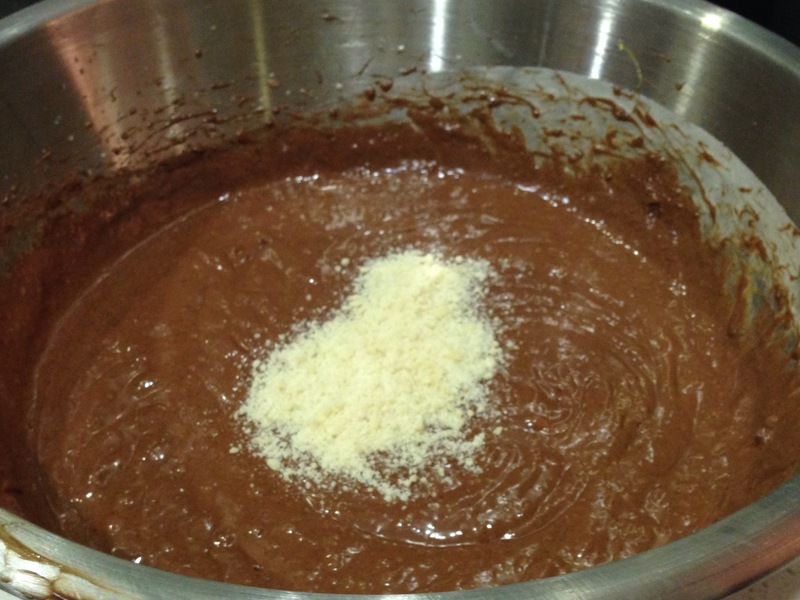 Sift cocoa powder into the mixture and beat. Remove mixer. Fold in the almond flour with a spatula until just incorporated – do not overmix. 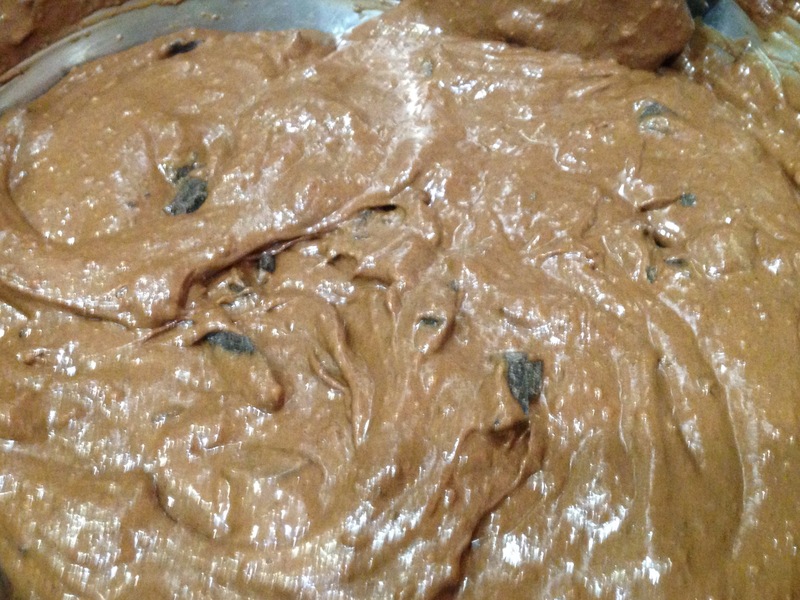 Fold in chocolate chunks if desired. Pour into greased pan. Bake at 350 degrees Fahrenheit for approximately 45 minutes. A crust should form; it should be solid and firm to the touch. You may not see surface cracks as you would when using wheat flour. You may wish to perform the toothpick test to prevent over-baking, but it likely will not come out cleanly. 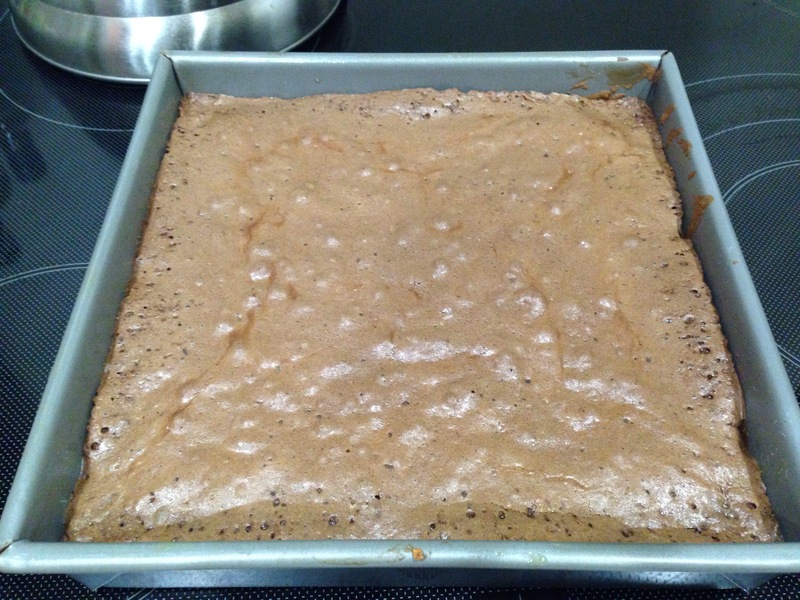 Cool to room temperature and cut into squares, but do not remove from pan. Refrigerate until just before serving. Serve warmed with vanilla (or my cocoa almond) ice cream, or chilled with whipped cream, garnished with pomegranate seeds. Cover and refrigerate uneaten brownies. They won’t last long!